What is America’s best-loved novel? Join the conversation on May 22. Designed to spark a national conversation about reading, literacy, and the books that have inspired, moved, and shaped us, The Great American Read is an eight-part PBS series and nationwide competition that explores the joy of books and the power of reading through the lens of America’s 100 best-loved books. Voting for America’s Best-Loved Book Visit the WPSU website to download the list of 100 books, choose your summer reading list and vote for your choice of America’s Best Loved Book. 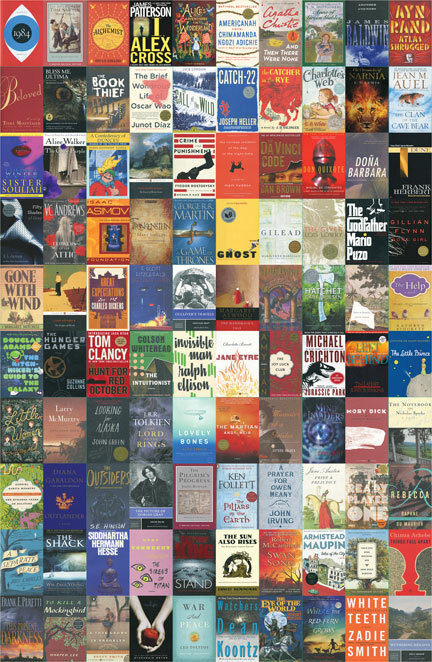 Download a printable checklist of the 100 books featured on THE GREAT AMERICAN READ.